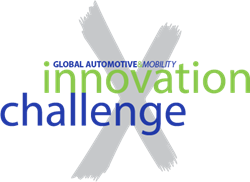 After an eight-month process and more than four-dozen entrants, four companies were selected as Award Winners of the 2018 Global Automotive & Mobility Innovation Challenge (GAMIC) on April 10 at the SAE International WCX World Congress Experience. They will share over $360,000 in business acceleration services and cash awards. “The GAMIC event continues to grow and improve. The quality of the presentations was outstanding. The improvement from the Quarter-finals to the Finals shows how our mentors from industry and from the entrepreneurial communities help these companies,” said David Stout, GAMIC co-founder and a volunteer leader in several roles within SAE International. “Our expansion to holding quarterfinal events in Silicon Valley and Ontario (Canada), to supplement Michigan, have strengthened the competitive field – especially with three virtual quarterfinals to handle companies from as far away as Turkey, UAE, the Netherlands, etc. Major sponsors for GAMIC 2018 include: Planet M, ESG Automotive, Sterne Kessler, Automation Alley, and Denso. For additional information visit http://www.gamicevent.org. The Global Automotive & Mobility Challenge, or GAMIC, is a catalyst to improve the speed at which early-stage automotive and mobility companies can commercialize new technologies. The competition was created to: identify innovative companies from around the world; cultivate their technologies and solutions; and hasten their adoption into the automotive industry. Participants get exposure to over 10,000 mobility experts at the GAMIC Finals during the SAE International WCX World Congress Experience each April. Winners share more than $360,000 in commercialization acceleration services and cash awards, along with facilitated introductions to the industry’s top decision-makers and influencers. GAMIC is a sponsored activity of the MI Innovation Alliance, a 501(c)3 corporation. SAE International is a global association committed to being the ultimate knowledge source for the engineering profession. By uniting more than 127,000 engineers and technical experts, we drive knowledge and expertise across a broad spectrum of industries. We act on two priorities: encouraging a lifetime of learning for mobility engineering professionals; and setting the standards for industry engineering. We strive for a better world through the work of our philanthropic SAE Foundation, including programs like A World in Motion® and the Collegiate Design Series™.